Mr. Kearney concentrates his practice in insurance defense, insurance law, personal injury, workers compensation and appellate practice. He has extensive civil trial experience having tried numerous cases to verdict and is A.V. rated by Martindale Hubbell. Mr. Kearney is admitted to practice in New Jersey (1983) and before the United States District Court for the District of New Jersey. 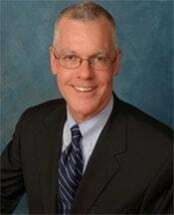 Mr. Kearney is a member of the American Bar Association, New Jersey State Bar Association, Essex County Bar Association, Morris County Bar Association, Trial Attorneys of New Jersey, New Jersey Defense Association, and the Defense Research Institute. Mr. Kearney received his B.A. from Providence College and his J.D. from Seton Hall University. He was Law Secretary to the Honorable N. Peter Conforti, J.S.C. in the 1983-1984 Court term.